Hi All, When were in Africa I always reckoned that the best way to avoid being bitten by mosquitos was to sleep next to Ann. Fortunately for me European mosies seem to have similar tastes. Ann is waging a nightly war on the little buggers but is losing every time. The early part of the night is punctuated by constant cursing and slapping. The light goes on at about 3am and we slaughter as many of them by hand as we can. The walls of the van are beginning to resemble an abattoir! Thus far I remain completely unbitten. Mosies excepted things are pretty good. We got completely flooded out last Wednesday and ended up in a swamp for a couple of days, but this is a really good campsite, even if it is a bit busy for our taste. We went to their entertainment night last night and it was just like Hi de Hi. 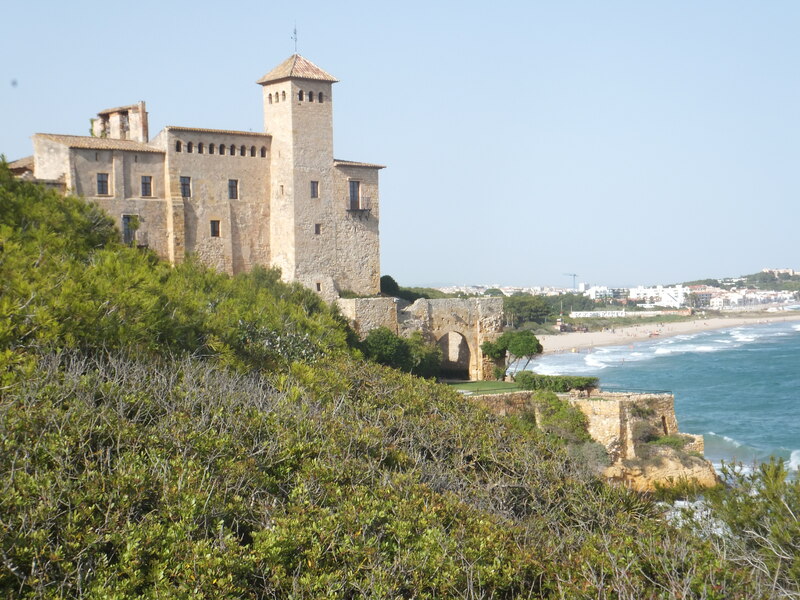 The photo is of the castle at the end of the beach. The Beast is now repaired, more cheaply than we had expected, and Ann is walking further every day, although her ankles are still swollen after a few hundred yards. We have had a good trip out into the mountains, and are doing swimming and aquafit every day. Even around here you only have to go fifteen miles inland to hit rural Spain, where the villages haven’t changed for decades. Communications are still a major problem. My email only seems to deliver about half of the letters I send, Ann’s Hotmail is out of action as often as it works, and the download speed here is too slow to Skype anybody. We are really looking forward to seeing everyone in a month’s time.